Location: From the intersection of County Hwy M and County Hwy N south of Boulder Junction, continue east on County Hwy N approximately 2 miles to Crystal Lake Campground. The trail is located near the beach area at the campground. 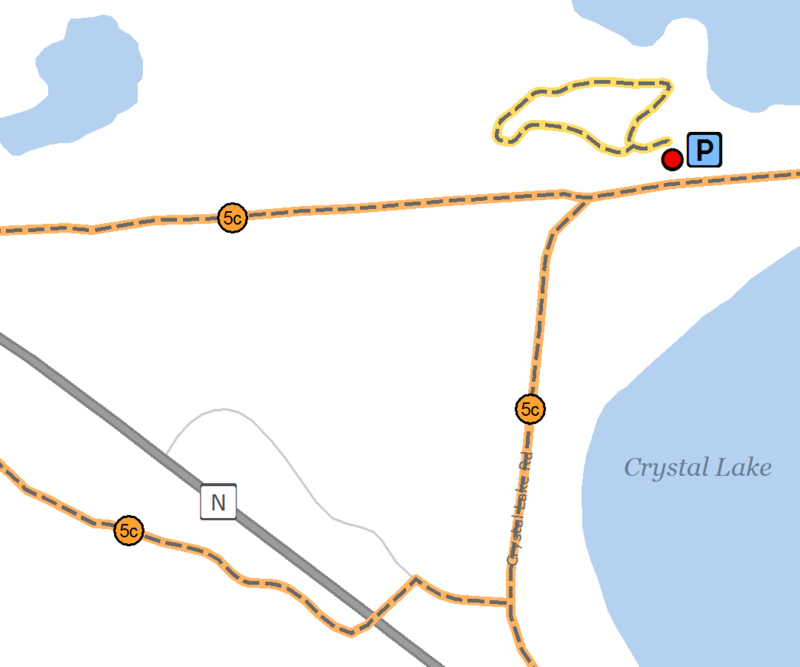 This handicapped accessible paved nature trail offers interpretive signs as visitors amble though balsam, pine, maple, birch and aspen with beautiful views of Muskellunge Lake. No bikes or pets allowed. A State Park vehicle admission sticker is required. Close to campground amenities such as restrooms, picnic area, shelter and swimming, there is also access to the over 40-mile paved Heart of Vilas County Bike Trail.